The first processing step in the soy bean oil plant is to clean the soybean seeds, dried and dehulled prior to solvent extraction plant. The soybean hulls needs to be removed because they absorb oil and give a lower yield. This de-hulling is done by cracking the soybeans and a mechanical separation of the hulls and cracked soybeans. Magnets are used to separate any iron from the soybeans. The next processing step in the soy bean oil plant is to cut soybeans into flakes by which are put in a percolation extractors and immerged with a solvent, normally hexane. 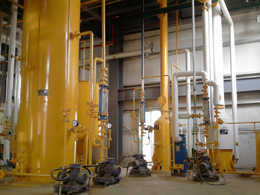 Counterflow is used as extraction system in the entire soybean oil plant because it gives the highest yield. After removing the hexane, the extracted flakes only contain about 1% of soybean oil and is used as livestock meal or to produce food products such as soy protein. The hexane is separated from the soybean oil in evaporators. The evaporated hexane is recovered and returned to the solvent extraction process. The hexane free crude soybean oil is then further purified. 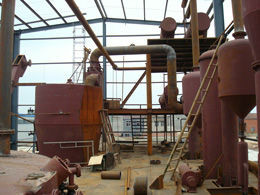 The next processing step in the soy bean oil plant is soybean oil refining. 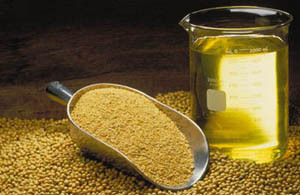 The crude soybean oil still contains many oil-insoluble and oil-soluble impurities that needs to be removed. 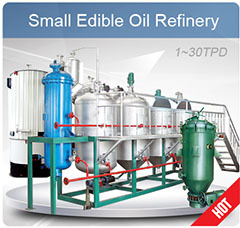 The oil-insoluble material are removed with filtration and the soluble materials is removed with different processes including degumming (removing of phosphatides), alkali refining (washing with alkaline solution to remove free fatty acids, colorants, insoluble matter and gums) and bleaching (with activated earth or activated carbon to remove colour and other impurities. 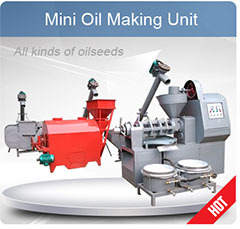 The industry group fats and oils includes oil mills, soybean oil plant mills, vegetable oil mills (other than corn, cottonseed, and soybean) and other oil plant mills. 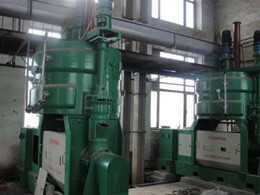 Wet corn mills are the primary of corn oil. Approximately 137 oil plants operate in the United State. Approximately 80 percent of the volume of oil and is concentrated in the states of Iowa, Illinois, Missouri, Kansas, Indiana and Minnesota, but also found across the nation. 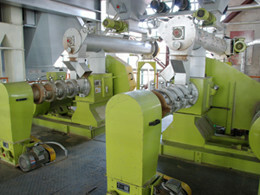 Likewise wet corn mills are concentrated in Corn Belt states, Cottonseed oil mills are found in states and California. 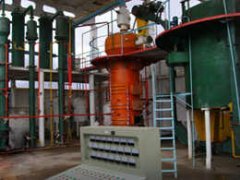 We are expert of soybean oil plant and relating oil processing machienry, we believe that whatever the field is, quality has always been at the heart of company’s performance. We treat quality & service as a way of life. We hope to serve you in the best possible manner and want to be associated with you on a long term and mutually beneficial basiss. 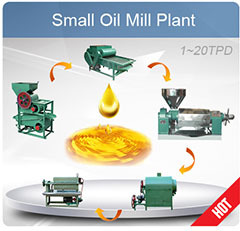 If you have any questions about soybean oil plant, please contact us now to know more information. Our responsible experienced technical team is always ready to serve & guide you at any time.